Happy Monday! What a weekend it was for us! I need to take a deep breath from the busy and quite tiring weekend we had. 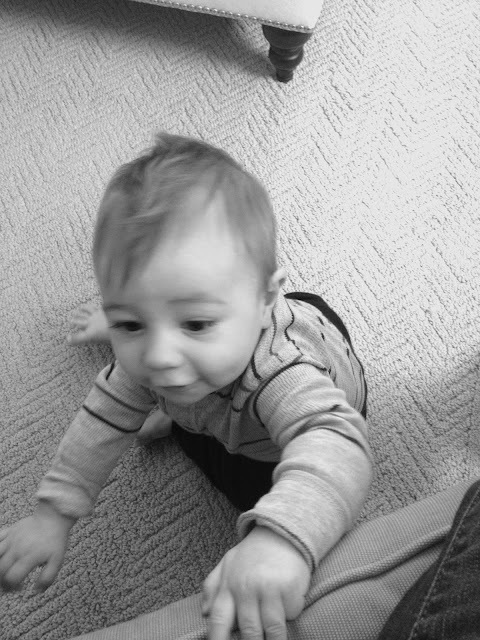 Sorry to sound so whiny for a monday, but my son who is almost 9 months old has been going through a sleep regression. Oh my word. My normally easy going little guy who loves his nap time and bedtime suddenly boycotted any and all sleep! He also woke us up up ungodly early both Saturday and Sunday. I'm talking 2:30 am. And every hour afterwards. Poor thing is just so disoriented and crying uncontrollably. I keep thinking of all the things he is going through and learning all at once. He's teething and he's developing mentally and physically. From what I've read Sleep Regression is that phase where babies are practicing over and over the skills they have just learned and are trying to learn and can't shut off when its time for them to sleep. Even when they sleep their brains are wired and running a million miles an hour instead of calm and resting. It's kinda like when you've started a new job or class and you have a lot of pent up anxiety and nerves surrounding your new environment, you go home and dream like a broken record over and over what your mind is so focused on. I've also read that Sleep Regression can be associated just before baby successfully accomplishes a major milestone. So needless to say, we spent a majority of our time just trying to take it easy, giving J extra snuggles and love and helping him get the sleep he so badly needs. 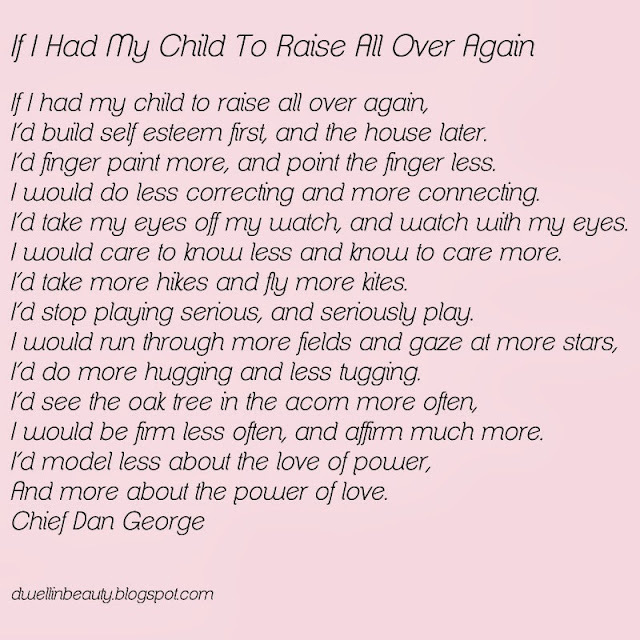 Some time ago I came across If I Had My Child To Raise All Over Again, and knew I wanted to share this with you all on Dwell in Beauty. When I first read this lovely passage, tears welled in my eyes and I started to feel that knot in my throat of overwhelming emotion. I just love this. Such a beautiful reminder to cherish every little bit and look at raising children with a different perspective. I always tell myself, even when the going gets tough that I too shall someday miss even the difficult times. And as I always say, parenting is a labor of love. The love you feel for your children grows with every day. After this weekend, I felt that it was the perfect introductory post for the week. Also, some more news! Anyone notice my lovely new blog look? It's finally done and I am so incredibly happy with it! 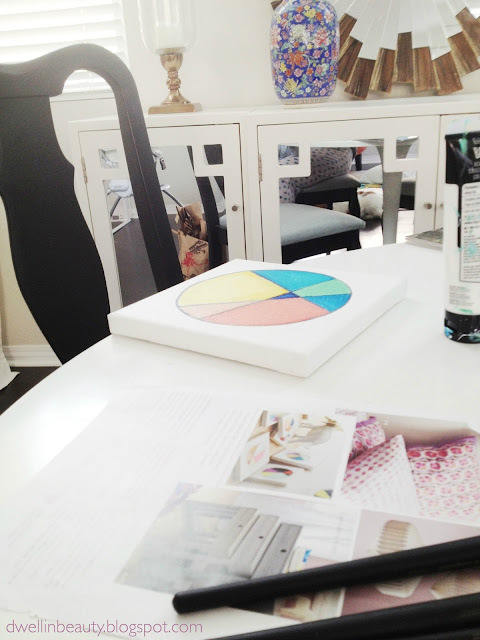 I worked with the very sweet and talented Kelly at Fabulous K to redesign the look of my blog. She is such a natural designer and delivered a look better than I could have even imagined! 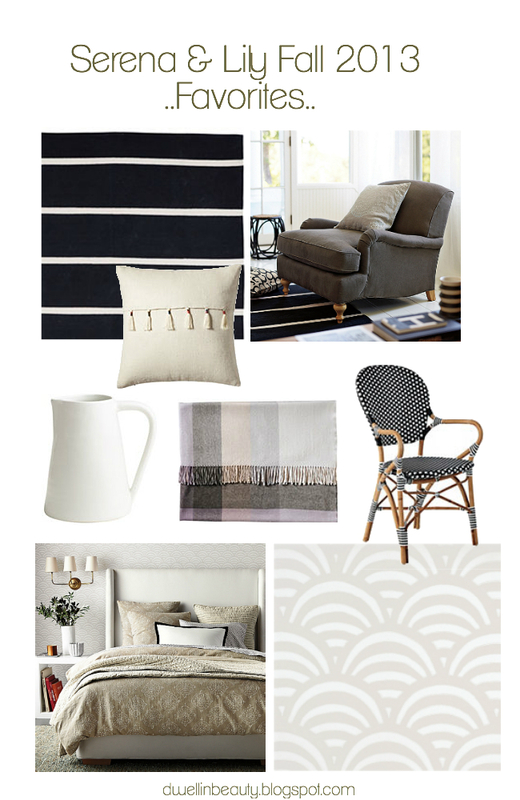 Kelly is also launching a new venture of a online home goods shop called Feathered, isn't that such a clever name? Love it! I can't wait until its open for business! Thank you again Kelly!!! 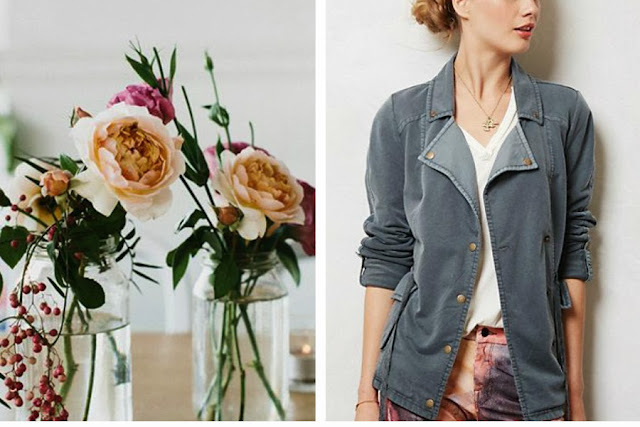 I've seen a few cute lists up on Pinterest for Fall goals and to-dos. Loved the idea, so I thought I'd come up with a list of my own. It's been quite a week and I am so looking forward to the weekend to lounge around home with my little family. I just bought a can of Pumpkin Spice Coffee at Trader Joes, mmm, can't wait to sip on it this lovely fall weekend. I just received the new Mini Boden magazine! I love flipping through their pages of stylish kid and baby clothes! I've bought a few items from Baby Boden before, and I must say the quality and craftsmanship on their clothing is amazing! They hold up well to the daily wear and tear, are super cute and comfortable for little ones. 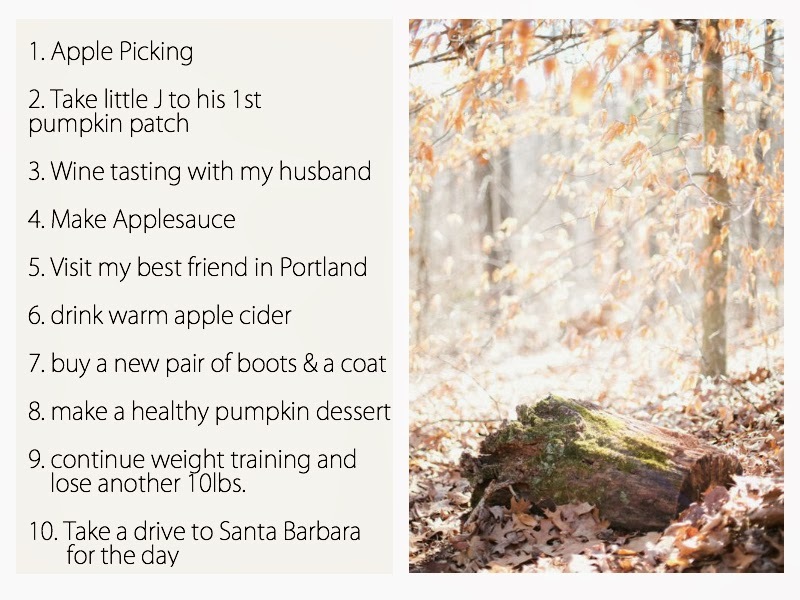 Here are some of my favorites that I am eyeing for my little guy this fall and winter season. Also the girl items are just precious as well! It's officially Fall! I just love this time of year, and just can't hold back my enthusiasm for this change in the seasons. Today I am away from my home, writing in the house I grew up in, and this too brings back fond memories, there's just no place like home, and when I am here sometimes I feel a sort of homesickness, missing living here. Not so much my mother's house, but more the town, the people, the overall environment. I feel peace when I am here, I feel whole. It's such a great feeling. My son loves it here too. Getting spoiled by the grandparents. He had a couple tiny bites of vanilla ice cream the other day. Oy vey, I'm in trouble. Anyways, today I think I am going to do a bit of window shopping and walk around some of the amazing malls we have here, and I really want to stop by West Elm for a bit and check out there fall collection in person. Here's to a lovely monday and a fantastic week ahead. Happy Friday everyone! I actually have quite a busy day ahead of me. My son and I are driving to see family for the weekend, so I've gotta pack for the both us today, get ready and head on out the door. Its always quite a lot when you travel with a little one (even somewhat locally), but I'm traveling sans hubby... So it makes the drive a bit more work on me, but thats ok! I try to plan my drive around non traffic hours and when my son will be ready for his nap, so he can sleep in the car... lucky ;) We have a nice weekend planned to go to a birthday party, visit lots of friends and family. And maybe grab in a bit of time to do some shopping!?! I hope you all have a great one, and happy Fall (its on Sunday)! It's Thursday already? Where is the time going? I thought I'd share with you all today some of my current loves that I just can't get enough of. Julep Bare Face Cleansing Oil - Ok I know it sounds a bit strange to put oil all over your face! But trust me ladies, its exactly what you want to do. Oil attracts oil. So its going to clean your skin like you've never had cleaned it before. I really have enjoyed using the Julep cleansing oil. It has a very faint scent of jojoba oil. It goes on dry skin with dry hands and dissolves everything we want to get rid of! I love it! I keep it handy in my shower and usually use it at the end of the day to wash off my makeup. I then continue with my normal skin cleansing routine afterwards. Gap 1969 Always Skinny Jeans - I absolutely adore these jeans! They fit amazingly, and are quite comfortable to wear too! And they hug my curves in just the right places ;) Since I've been losing inches and weight, these have also been a great transition piece for my smallish wardrobe right now (I am patiently waiting to get more clothes once I reach my goal!) Suddenly these jeans are actually getting to be a bit too loose for my liking! I believe thats a good thing! Now I just have to go get some more! They come in a bunch of colors, washes and patterns. Planet Wise Wet/Dry Diaper Bag - I've recently made the switch to using cloth diapers for my son. I found this cute bag from Planet Wise, called April Flowers. I can store plenty of dry inserts and covers and wipes as well as keep the wet or soiled ones in a separate compartment. And everything is water proof! Also its super handy for when I don't want to use a bulky diaper bag, I just throw it in my purse of choice and I'm good to go! Also, I love the handy snap tab! I got the medium size but it also comes in small and large. To point out this bag would work well for going to the gym, or beach or used for other activities! Doesn't just have to be baby use only! Sugar Paper Just a Little Note Stationary Set - Just like a girl can never have too many shoes, I can never have too much stationary. I recently got this cute set, and just love the simple yet stylish statement the cursive font creates. Jurlique Love Balm in Rose - I was a long time user of Smith's Rosebud Salve, I mean years and years I bought that lip balm. Within the last month I ran out of the Smith's and decided to give Jurlique's a try. Oh. MY. Gosh. Heaven. This love balm as they call it, goes on so smooth and isn't gloppy or vaseliney like. Its made from natural ingredients and smells like a fresh version of Rose, not old-fashioned rose by any means. It also has a slight scent of chamomile which is so refreshing and relaxing to me. I keep it in my makeup bag always and I love to use it alone or as a foundation piece before building up my lip color. Here it is, the promised "teething post"! It all started a week & a half ago. My son and I were getting our things, ready to leave our friday My Gym time. I was standing there holding him while we were chatting with some of our friends and their babies, suddenly I turned and looked at little J and his mouth was open at the perfect angle for me to see 2 teeth popping through! Words can't even begin to express the elated feeling I felt flutter through my chest! I instantly shouted "He's got teeth!" not even holding back my enthusiasm. I just instantly felt this sigh of relief as well; it seemed like he had been teething for months, yet no sign of any teeth. Then all of a sudden leading up to this monumental moment J had been more clingy than usual and definitely a lot more fussy. For the first time, I didn't even relate his moods to teething. I just thought he was going through another phase, since teeth were out of sight, they also were out of mind. That night he tossed and turned a lot more than usual and even woke up several times yelling. This is totally out of character for my normally easy going little guy and excellent sleeper (well now anyways ;)) I just soothed him and gave him some teething tablets, and then finally gave into a little baby tylenol since he was in so much discomfort. I also use 24/7 Baltic Amber teething bracelets on J. The same thing happened the following night. So because baby wasn't sleeping good, I wasn't sleeping good either. I slept in a bit that morning, being that it was Sunday and my husband could pitch in. I woke up, walked down the hall and saw that J's door to his bedroom was closed. I thought, "Oh, he must be taking his morning nap". Walked downstairs, and my husband told me that he hadn't even woken up for the day yet, went in to check on him, but baby was sound asleep. Poor guy, he had a two rough nights and probably needed the rest. So we decided to let him sleep. Baby didn't wake up until 10AM!!! Whoa! That's a first! J was awake for about 2- 2 1/2 hours before I noticed he was fussy again. So I put him down for a nap, and lo and behold he slept again! For another 2 1/2 hours! I couldn't believe it. By the time J woke up from that nap, he just was in a daze. We kept the rest of the day very simple and let him stay in PJs and play, rest and cuddle. Gosh, teething is tough on babies! I'm glad we don't remember our own experience, but instead nature turns it on us so we remember our children's! By the next day it seemed as if things had gone back to normal. Since then its been a bit of a mix, some days are better than others. The two teeth coming through are about halfway there. It really is so exciting! And I can't help but feel like a proud mama. I really am proud of J and all that he's accomplished, learning and developed in such a short amount of time. He amazes me. I apologize for not having pictures, but my son hardly lets me see those budding teeth, so I haven't even gotten a single photo. 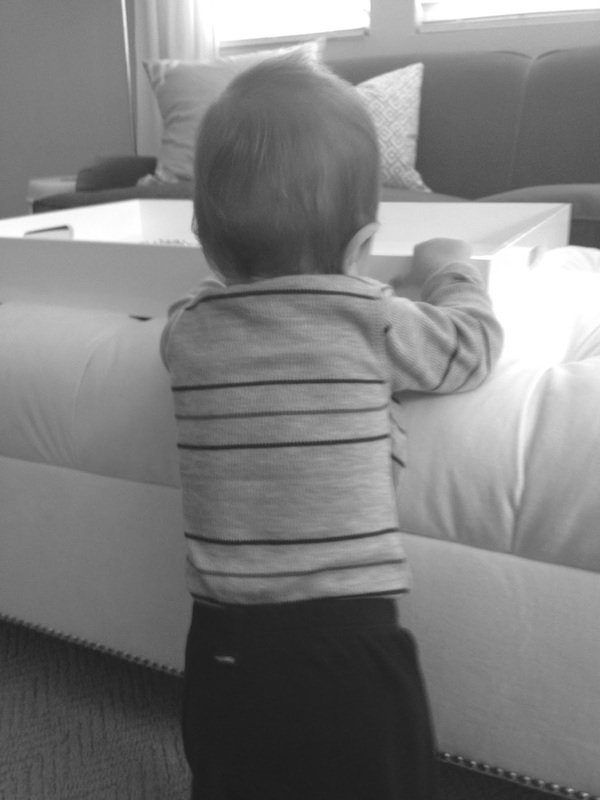 So instead, I have some photos of my little guy accomplishing his next big move : Standing & Pulling himself up! I mean, how true is this simple but powerful statement? Before you really can have or enjoy anything, you must first address your health. 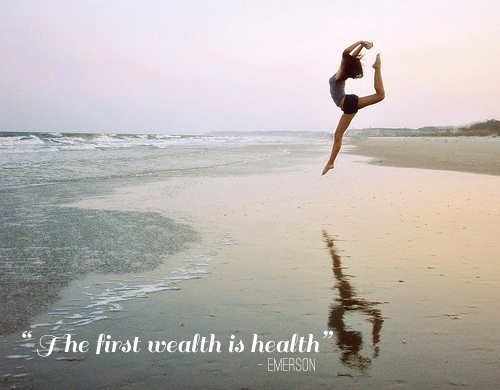 Without health life wouldn't be the same, it wouldn't be as enriching or enjoyable. I feel that I have been a healthy person throughout my life, and I really owe that to the teachings of my Mother. Now that I am a mom, I take my health so much more into considerstion. I want energy, vitality and time to be around for my son and my family for years and years to come. To add to my story, during pregnancy I put on a lot of weight despite the fact that I ate healthy, drank lots of water, did prenatal yoga and took the most amazing prenatal vitamins. But for some reason my body just held onto the food I ate and stored a bunch of it as FAT. ugh... 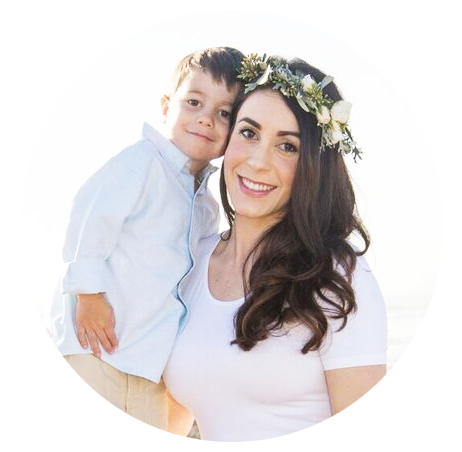 I can remember in the first few weeks after finding out I was pregnant and went into my first prenatal doctor's visit, I had already put on 10lbs! I remember being ravenously hungry, waking up in the middle of the night just plain starving! I couldn't help how hungry I was, it was like something took over my body.... Well, actually something did! ;) And now looking back I really think my body was smarter than me because as I mentioned it went into survival mode, held onto the weight and 10 months later (yes pregnancy is technically 10 months) I gave birth to a 9lb plus baby! A solid big and healthy baby boy. It was all worth it. And very quickly after that I dropped 25lbs! Yippee! Oh wait... I wasn't anywhere near my goal weight, a place where I feel HEALTHY (not skinny and like a stick). I have since lost an additional 13lbs. That's a whopping total of about 38lbs. So, I am on a journey of health. And I mean it. I've been doing different kinds of exercise programs such as Turbo Fire, Pure Barre and lots of walking with the stroller. However, I've recently joined a gym in my town and already am noticing significant differences in my appearance by doing weight training. I've also changed my bad eating habits and upped the good eating habits I had. I've cut out white, refined sugars from my diet and almost all gluten. I eat more protein, veggies and fruits and yummy good for you fats, little dairy and TONS of water. My goal everyday is to feel healthy by the choices I make: nutrition and excersize. It is the daily compounded effect that make the end result. I plan to continue down this path of health, get to my goal weight or as close as I can by my son's 1st birthday! I think I can! I think I can! 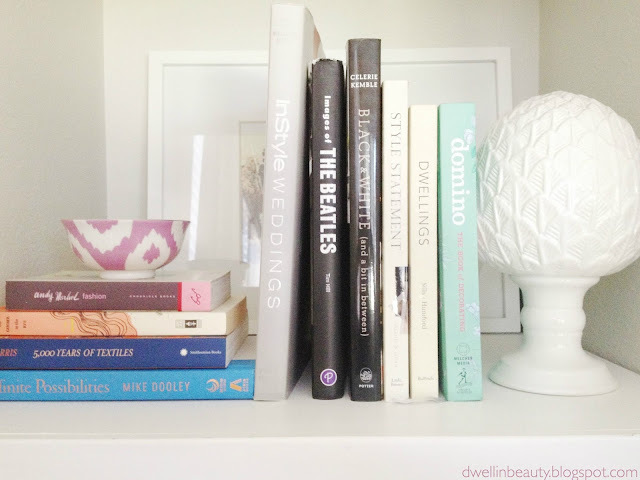 Ok, I know I've spilled a lot for a monday but this has been on my mind, sharing my journey on Dwell in Beauty. It is Friday! I took my son to our normal My Gym routine that we do every week! He just loves it there, socializing with the other babies (his little friends) and I love it too! He's sorta outgrowing this particular program and will graduate onto the next. Anyways, in my spare time I have been doing a bit of sprucing up around my home lately. I've posted a few photos of the updates around my home. Have a great weekend! 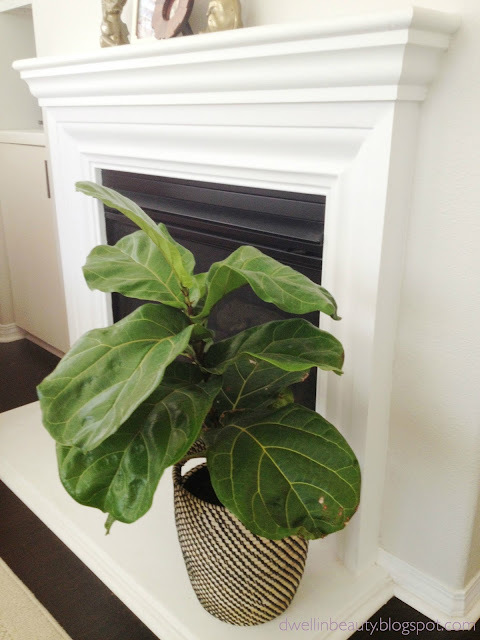 Got a Fiddle Fig Leaf plant and the basket planter, both at Ikea! have somewhere soft to play and be on downstairs. Ok, I know I said I would write about my experience with my son's teething process on tuesday... Obviously didn't get around to it! It has been an unusually hectic week, so I'll share with you something I wrote about some time ago, and didn't get around to publishing it, until today! 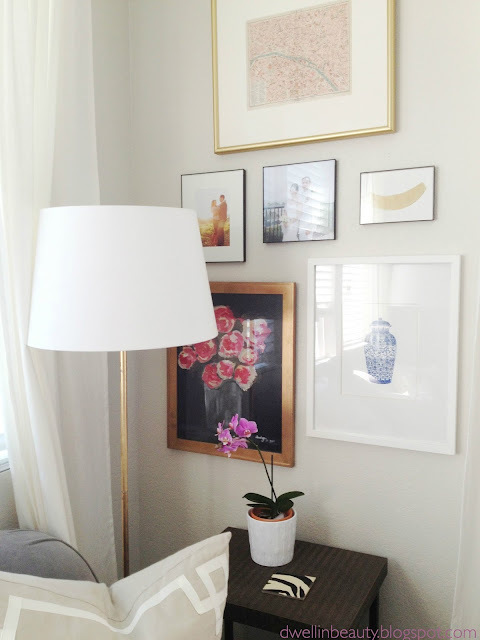 This is the very first time I've introduced Julep on my little blog. I have to say that I literally just stumbled across this company a few weeks ago, yet they've been around for 2 years now! Whoa! Where the heck have I been? I fell in love with the company because of what they stand for. 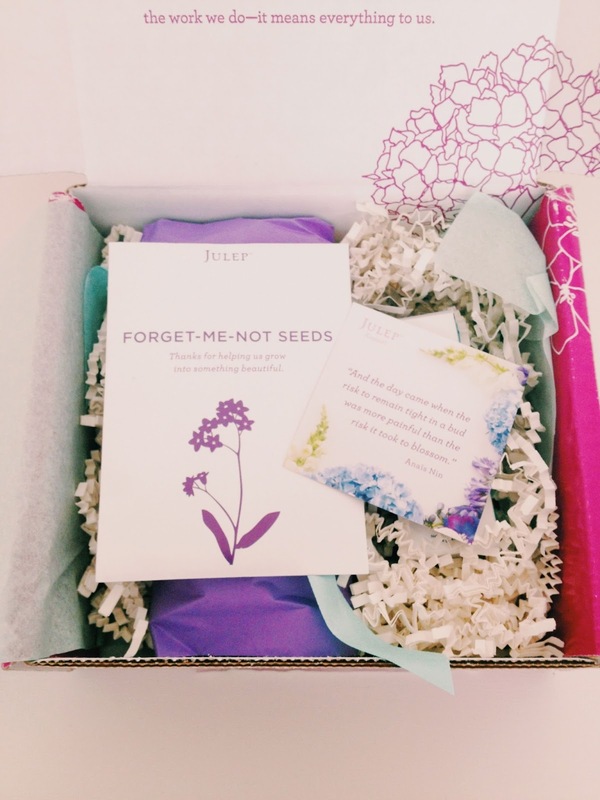 Julep is all about celebrating life and yourself as a woman. They name each polish after a woman that inspired them. 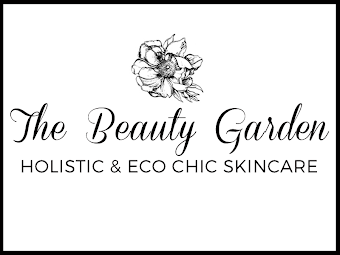 Every product is so wonderful in performance, quality and are free of harmful chemicals! Whoo-hoo!!!! Naturally I was instantly smitten by their website and immediately signed up to become a Julep Maven; you pay a small membership fee and each month they send you your own personalized Julep box of goodies based on a fun questionnaire that you fill out to get started! My results put me into the category of "Classic with a Twist", very fitting if I don't mind saying so myself! 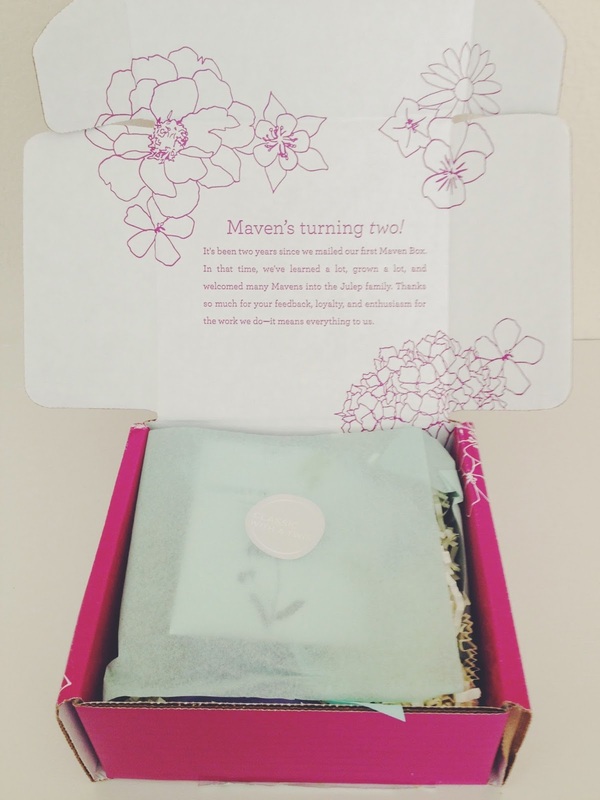 Today, I am sharing a Julep Maven Anniversary box that was sent to me, celebrating their 2nd year! And if you're like me, you are just gonna drool over these goodies and all the lovely details and packaging that went into this doorstop delight! What I love about Julep is their "girlfriends connect" philosophy really does shine through. 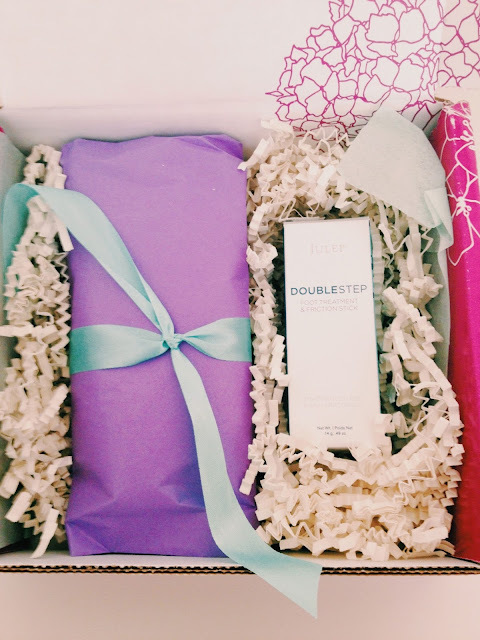 I feel so special each time I get a Julep delivery to my door and even more wonderful about myself when I use these amazing products. 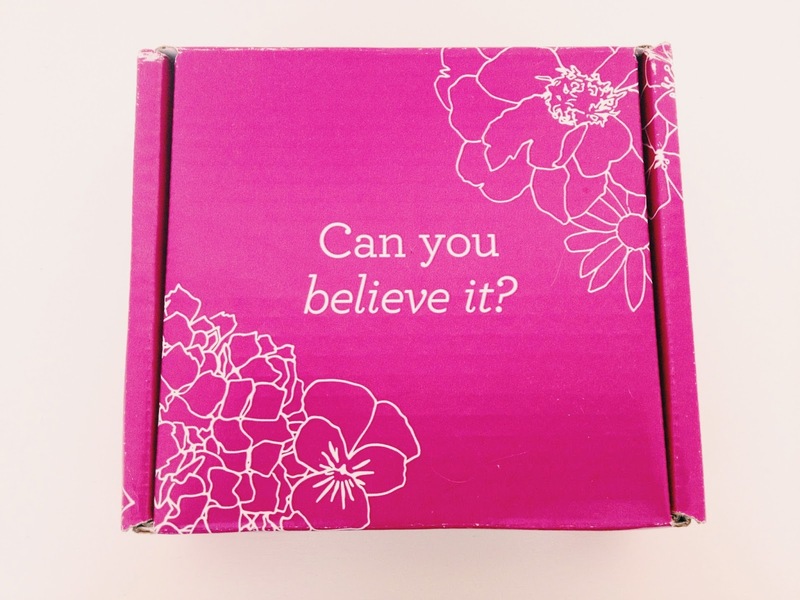 This hot pink hotness is the exterior of the box! Mailed out just like that. in that gauzy blue tissue and sticker? Wow! ummm, forget-me-not seeds and an inspirational quote to boot! pretty purple wrapping, fill and bow, the details! Those two nail polishes are the goodies I found inside the purple wrapping. By the way, that pink polish, "Veronica" looked so pretty on! I haven't applied the purple polish, "Sylvia" yet. And I love the Double Step treatment! 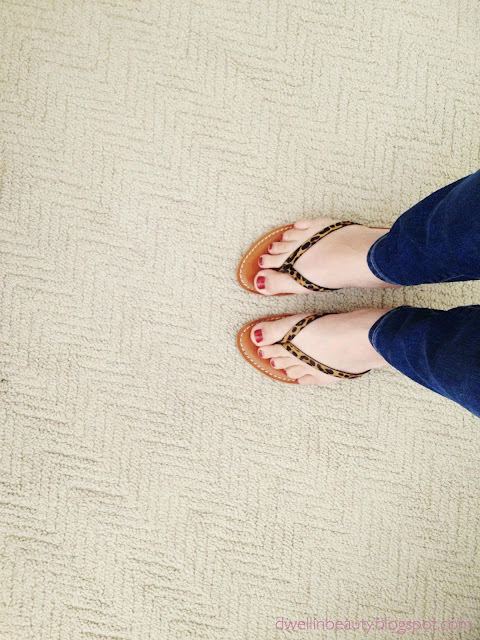 I've used it several times when wearing sandals, it makes my heels and feet soft and ready to show off! I promise, I'll be back tomorrow to dish on my "Mama Thoughts"
How was the weekend for everyone? Mine was good, although it was a bit tiring and trying at moments but exciting as well... My son is getting his first two bottom teeth! You couldn't believe my excitement when I saw his teeth popping through on Friday afternoon. I'll go into more detail tomorrow for my Tuesday Mama Thoughts post. 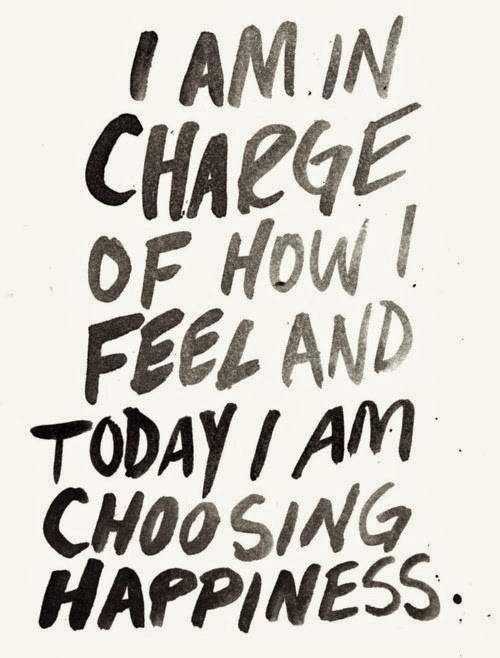 For today it's time for a bit of inspiration to kick off Monday and get the week started! The other day I came across this beautiful passage on Pinterest, and knew I had to share this on the blog. 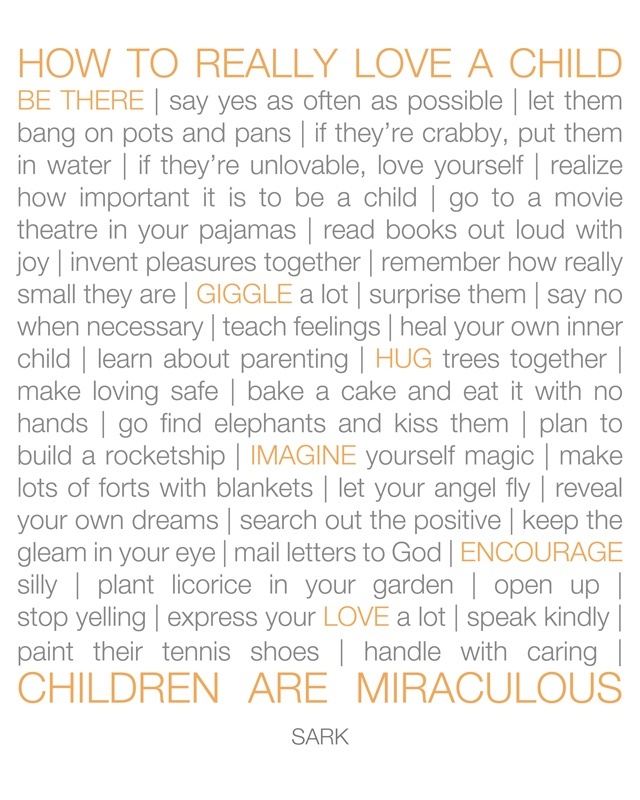 I love how it reminds us to all be children, to let go and live, enjoy the moments even the difficult ones and make childhood magical. It is such a brief moment in our lives. I hope you have found inspiration in this as I have. Have a beautiful day! Sometimes I find myself dreaming up nurseries and fun spaces for little ones to enjoy, must be a mom who's a designer sort of a thing, no? I think it honestly brings out the child in me; if I were a little girl again sharing a room with my little sister I'd want to feel carefree, imaginative and playful. 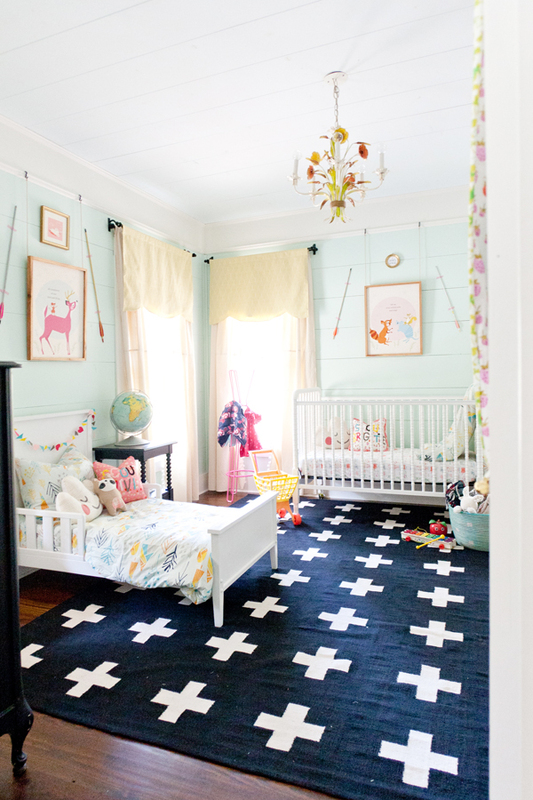 In a recent find, I came across on Lay Baby Lay an adorable inspiration post about two little girls who share a room. The whole bedroom was designed as a sort of camping, woodland theme. It came together beautifully! 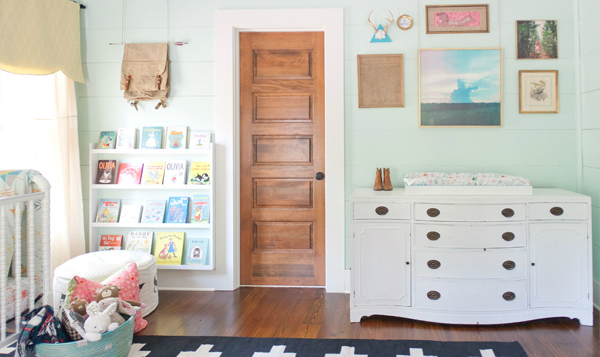 It looks like the perfect whimsical space for little girls to dream and imagine. 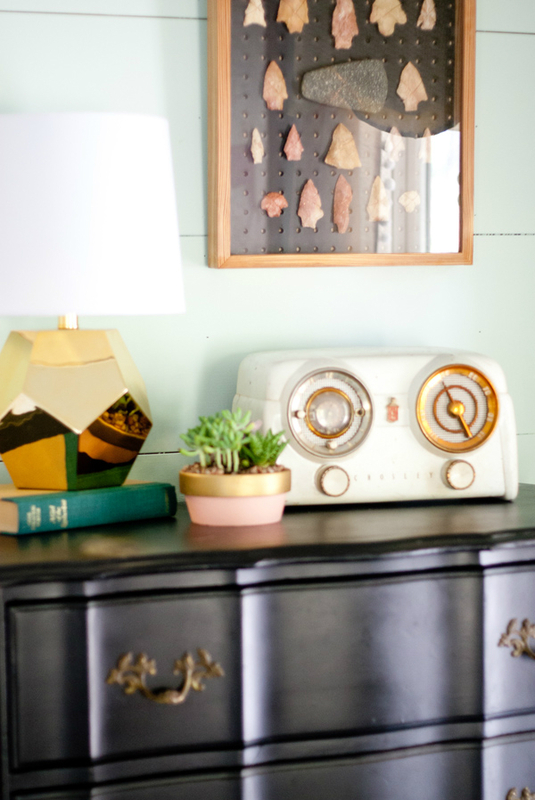 The soft, playful colors make me so happy, and the little details of vintage and modern pieces make the room fresh and interesting. 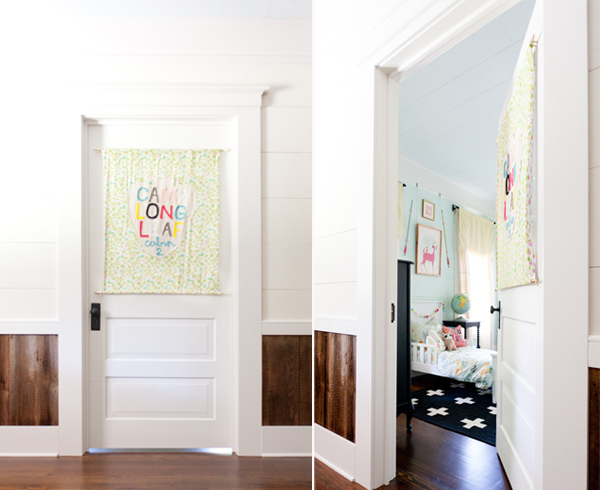 Click on over for more pictures and details as well as sources for such a darling room! I can hardly believe its September now. I apologize for my lack of postings this week. I was out of town with family over labor day weekend and sometimes, you just have to let go and have some fun, right? So, now for more fun for Fall! Have you gotten your copy of Serena & Lily's new "early fall" catalog? Oh it is SO good! I probably could decorate my whole house based on this new collection. So I scrounged up a few of my favorites to share with you all today. I am also so excited to see that Serena & Lily has added wallpaper to their selection. I'm already getting inspired on how to use their wallpaper. Oh, can I also mention how divine that english roll armchair is with the natural wooden feet? I know it's not new but it looks so perfect against their new black dhurrie area rug. I'm salivating! And that gorgeous bronze sconce had me at "hello".